When the New York Jets play their AFC East rivals, the New England Patriots, they will be trying to end their longest losing streak in seven years. The Patriots are trying for a sixth consecutive regular-season home victory over the Jets. The Jets are sticking with quarterback Geno Smith. He has completed 57.1 percent of his passes, thrown six touchdowns and seven interceptions for an NFL-low 69.7 passer rating. He went 32 of 68 for 447 yards with a TD, four INTs and was sacked eight times while the Jets split the 2013 season series with New England. The Jets will try to establish their running game. New York averaged 151.3 rushing yards in the first four games then totaled 122 in the next two. The Jets defense has been there to help the offense out. They are allowing an average of 28.8 points since the 19-14 victory over Oakland. Its defense gave up 253 rushing yards in the first four games before allowing 300 to San Diego and Denver. The Jets secondary has been struggling and now they have lost starting cornerback Dee Millner for the season. They must now face a rejuvenated New England offense that has scored 80 points in its last two games. I see Tom Brady and the New England offense continuing to get stronger against this weak Jets defense. 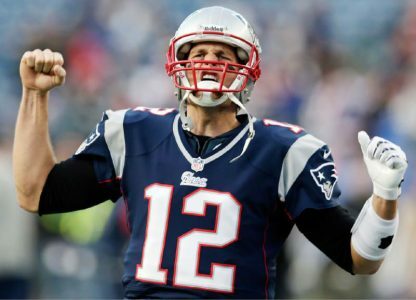 Tom Brady has won six straight regular-season home games versus New York, and thrown nine TDs, one INT and recorded a 101.3 rating in the last five. Brady, will have to find a new rushing attack as starter Stevan Ridley has been lost for the season. He will be replaced by Shane Vereen with Brandon Bolden and James White also likely to see action. I feel New England has righted the ship and will roll over this very dysfunctional Jets team. Brady will be able to feast on the Jets secondary and the Patriots defense will feast on Geno Smith. I wouldn’t be surprised to see Vick get some action for the Jets.